For everyone at WB Surf Camp, surfing is the center of our world. It has given us our identity, inspires us to appreciate all of our blessings, provides our livelihood, gives us the tools to overcome challenges, and positively impacts every day we live on this earth. To put it simply: surfing is our life. Each day we encounter people whose selflessness and courage inspires us. They face tremendous obstacles and challenges, and manage to transform, for the better, the world around them. The purpose of our Aloha Camps is to share the restorative Hawaiian art of surfing with those who have a positive impact on the community or groups that we feel can benefit from the therapeutic healing powers of the ocean. We believe in integrating philanthropy into our company structure and have made giving back a fundamental part of our culture; the Aloha Camp is one of the ways we accomplish this goal. In Hawaiian tradition, the Spirit of Aloha is a way of connecting the mind, body, heart, and soul. This builds confidence and creates positive feelings and thoughts you will carry with you long after you have left the water. Our Aloha Camps are a way of just saying thank you for letting us share the Spirit of Aloha with you. Our Aloha Camps are offered free of charge and are taught by our certified staff. They begin with 45 minutes of our “Ground School” to build a foundation before heading out into the ocean to start catching waves. 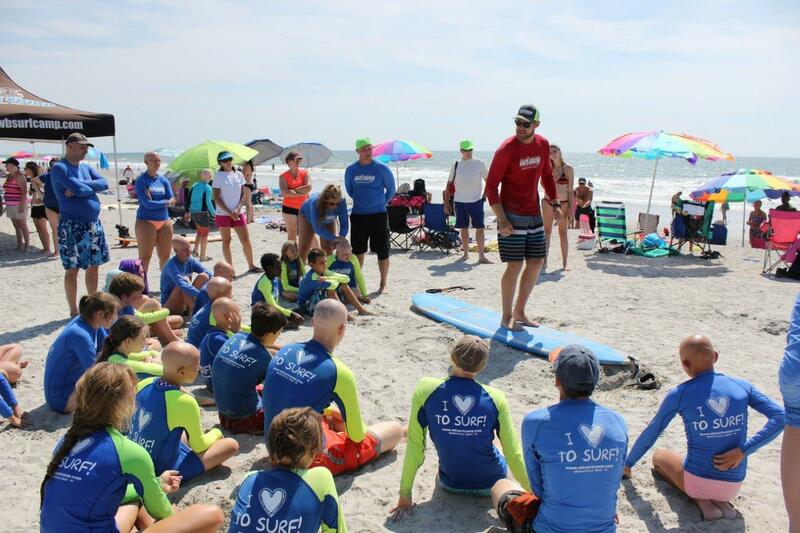 If you have a group that you think would benefit from our Charity Aloha Surf Camps call 910.256.7873.